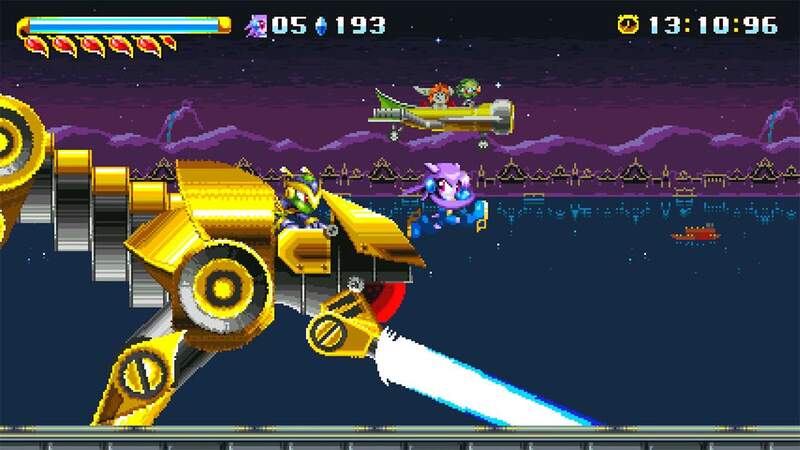 XSEED, Marvelous Europe and GalaxyTrail have announced that Freedom Planet will release on Nintendo Switch this month. When hostile foreign powers and alien attack forces descend on the world of Avalice, you must restore peace to its three kingdoms in this fast-paced, combat-driven platform adventure. You can choose to play as Lilac, Carol or the unlockable Milla, who, each having their own unique gameplay style, must use their skills to forge a path in non-linear stages that have been created with 2D pixel art and multi-scrolling backdrops. Whether in the traditional Adventure Mode that has more than an hour’s worth of fully voiced cutscenes or the Classic Mode that gets you straight into the action, you will learn to use the momentum-based platforming to uncover secrets, alternate paths and hidden collectables. Freedom Planet will release on the Nintendo eShop for Nintendo Switch worldwide on August 30th, published by XSEED in North America and Marvelous Europe in Europe, Australia and New Zealand.